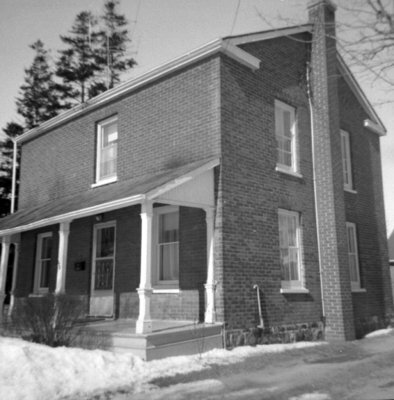 A black and white photograph of 124 Front Street East. View is from the right side of the house. The house located in Port Whitby belonged to Melvin Matthew Perry. 124 Front Street East, c. 1969, Brian Winter. Whitby Archives A2013_004_041. Scanned for original brownie camera negative.